Bernice McFadden’s first novel, Sugar, encapsulates the elements that exemplify the making of a classic. This is not to say that it was perfect, for that would be pretentious on my part, but it was arguably a guaranteed page turner that you hoped would last just a little while longer. As a debut, Sugar did not lack any of the many elements we have come to know and love about McFadden’s storytelling style or her imaginative, colorful, and captivating characters. But the tale, even with its twists, was simple – direct with less density than, let’s say, The Book of Harlan (one of my favorite novels). Stylistically, it was as vivid, engaging, and captivating — unmistakably McFadden. Set in Bigelow, Arkansas, Sugar takes the reader on a heartfelt journey through poetic pain and the lives of Sugar Lacey and Pearl Taylor (primarily), and a host of others (secondarily). Sugar’s deleterious childhood, overwhelmed by scars and filled with a level of isolation that steals her youth and ultimately her identity, contributes to the creating of the wayward woman she becomes. Pearl, we learn early in the novel, struggles with her own isolation, but unlike Sugar’s, hers is involuntarily self-imposed, developed after the tragic and brutal murder of her daughter, Jude. This isolation is not so much about staying out of the company of others (she finds both companionship and solace in church), or even being an effective mother to her other children (Seth, her son, speaks on this point in a single but precise statement later in the book), as it is about withdrawing into herself. Pearl’s actions and personality scream depression but McFadden is careful not to label her, allowing the emotional wave we ride with Pearl to reveal, by layer, her quiet but obvious struggle. This internal conflict catapults Pearl into a place from which she cannot easily escape until Sugar crosses her path forming and firming an unusual friendship and, progressively, the voids they’ve carried are seemingly filled. Sugar Lacey is bold, worldly, mysterious and irresistible. She is a woman equally desired and hated, caught, it seems, in a complex network of interconnected (and interlocking) elements, surviving the only way she knows how, by giving pleasure, yet seems to have relegated herself undeserving of joy. She is a vassal to the highest bidder, a beast of burden, a mannequin sans emotions, and as such she receives nothing but a womb filled with frustration. But despite her transgressions and unsavory nonchalance, she has a heart longing, from the child she never was, for unconditional love. Sugar reinvents Pearl, rebuilding the confidence she sorely lacked and the sexiness she secretly, seemingly, yearned for. She takes Pearl from mundane to magnificent, while Joe, Pearl’s husband who would object to this rebirth (and perhaps revelation) or so we are made to believe, is out of town (his reaction shortly after his return dismisses all assumptions, including Pearl’s). The elements of resurrection (the church is an important “character”) develop almost seamlessly throughout the book and the conflicts are broad but not alarming or distasteful; they are real and familiar. 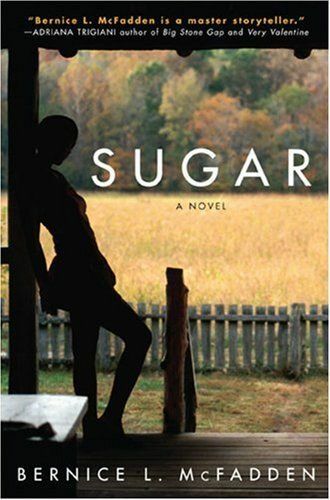 Sugar, as a novel, is multitudinous — an impassioned vision, seething with hope and finishing with unexpected confessions, familiar brutality and wow factor discoveries. It would make for an amazing movie, an incredible television series or Broadway-worthy stage play (think The Color Purple). 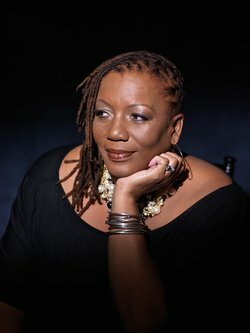 I was enveloped by Bernice McFadden’s voice, slowly consuming each chapter and resting a day before beginning the next. I am that kid waiting for her upcoming creations with bated breath and wondrous anticipation. Read Sugar, and you’ll understand. I promise.